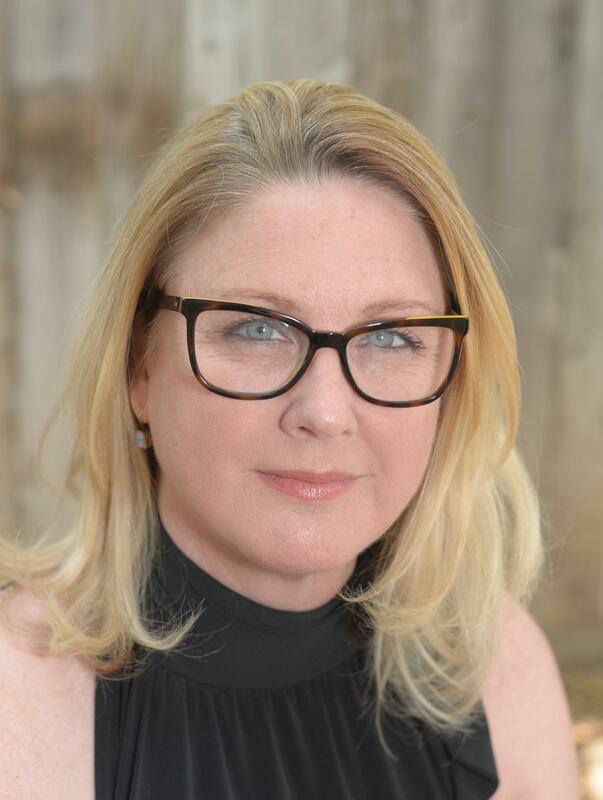 Having written for Power Rangers as well as various original Disney Channel original films Ann Austen '85 shares her experiences in children's feature and television writing. She also shed light on her 2016 Emmy winning Pre-School Children's Animated Program, The Snowy Day, and her take on adapting the children's book that broke the color barrier in mainstream publishing. What is your most memorable experience at the USC School of Cinematic Arts? Back in my day the divide between Cinema and Media Studies and Production was pretty wide. As a bow-headed sorority girl who had never touched a camera before I started film school, I was particularly intimidated by 290. My first two films didn’t go so well. But my third film was a mockumentary (before mockumentary was a thing, by the way) about a football player who joins a sorority; a satirical social commentary about gender preconceptions, but also a comedy, I’d hope. Technically, the film wasn’t too great, but it was really funny. My crowning achievement in that class was having the two professors laugh so hard they weren’t able to keep a straight face as they gave me my critique. To this day, connecting with an audience is what I love best about what I do. In what ways did your Cinema and Media Studies education most influence and prepare you for your career in children’s feature and television writing? I use my education from SCA every single day, from the basics of the language of filmmaking, to crafting deeper meaning in the stories I tell. But the most important things I took away from my education, hands down, are my critical thinking skills. They’ve given me a leg up in every job I’ve ever held, from network exec, to producer, and especially as a writer. Ironically, I did zero script writing at USC. But studying the narrative construction of hundreds of films turned a light on in my brain that has become the foundation of every project I write. Structure structure structure. What are your thoughts on the role and the creative responsibility of the writer? The role of the write is to write a good story. It is the producer’s job to execute that story. These are difference jobs, but it’s ideal when a writer can do both, i.e. show run. Being a writing producer has allowed me to see many of my projects through, all the way from inception to post, ensuring my original vision more or less stayed intact. How much creative responsibility a non-show running writer has varies by production, but overall writers are enjoying a lot of respect right now and are getting way more creative input than we did early in my career. Whether show running or not, all writers who work in children’s media have an elevated responsibility to respect and appreciate how their work will be interpreted by a young audience. We understand our viewers are vulnerable in ways adults are not, and take steps to craft our stories to be age appropriate, sensitive to the messages we are sending, whether they are intended or not. You’ve contributed extensively to the writing of a majorly successful Power Rangers series. How did that experience challenge and help you grow as a storyteller? When the very first show you work on becomes the number one kids show in the world it can definitely mess with your career expectations. But let’s face it, people disparaged the writing of that show from day one, despite its commercial success. Even I look back on those early episodes and cringe a bit. The writing was so heavy-handed. But unequivocally, it shaped my storytelling skills, in large part because of the unusual way that show is produced. It is widely known that the foundation of the series comes from the episodes made in Japan. But what is less known is how the US version comes to be. We would watch the Japanese episodes and then have to reverse engineer them into a coherent story arc that fit the cultural and commercial needs of the American market. We’d pick and choose scenes, plots, characters, props, whatever we felt we could use to craft a compelling story for our audience, then write scripts around those bits and bobs. Despite our best efforts, we’d get to the editing room and stuff wouldn’t always hook up. I spent hours in the editing bay moving scenes around, flipping shots, writing VO and ADR to fill gaps. They say the edit is the final polish for a script, but at Power Rangers it sometimes was the script. Understanding narrative construction helped me find a way to make even the craziest stories make sense. Equally as important, maybe even more so, was the sheer volume of content we produced in those days. Between Power Rangers, VR Troopers and Masked Rider, I worked on hundreds of episodes. There is no replacement for good old experience when it comes to honing skills. Practice makes better. You’ve also written for both Disney Channel original movies, Johnny Tsunami and Motocrossed. How did you get involved with Disney, and what was that experience like? Those two movies produced some of my proudest and most enjoyable career experiences. At the time my then writing partner and I had an overall deal at Film Roman, the company best known for animating the Simpsons, but they were trying to get into live action. The head of development, who had come from Disney, knew that Disney Channel was getting into the “Movie of the Week” business. We connected with the Disney Exec over a love of Shakespeare; hence Johnny Tsunami is loosely based on Romeo and Juliet, and Motocrossed on 12th night. In all, we ended up doing six movies there (some uncredited) and really loved it. Side note, many years later a friend of my daughter’s, who is half Asian, half white, shared with me how much Johnny Tsunami meant to him growing up. It was the first time he’d seen a family that looked like his on TV, and it made him feel included. There’s nothing more rewarding than hearing you’ve made a kid’s life a little better. 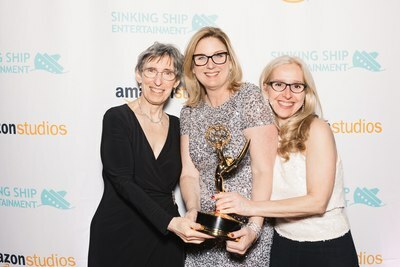 Your 2016 pre-school children’s animated program, The Snowy Day, recently won an Emmy. What was your experience like as executive producer and writer? What were the main challenges you faced? From the moment this project came my way I knew it was a very special opportunity, and an enormous challenge. Irene Sherman, a producer friend I’d worked with on another project, introduced me to Deborah Pope, the director of the Ezra Jack Keats Foundation, and the three of us set off to bring Keats’ work to the screen. I knew and loved his books from my own childhood, but I really didn’t know how much they meant to the African American community. “The Snowy Day” was the first children’s book in mainstream publishing to break the color barrier by featuring an African American child as its protagonist, and is listed in the Library of Congress as one of the most important books in American literature. Pretty intimidating stuff. But what really resonated with me about the book and its main character Peter was its universality. Children are children, no matter where they come from or what they look like. Our differences are there, but what’s more important is how we’re the same, and that’s what I tapped into. I have to give a shout out to one of my most inspiring Critical Studies professors, Dr. Marsha Kinder. She taught me about adaption in a way that allowed me to turn a very short picture book into a 40-minute holiday special without losing what was integral to the source material. The Snowy Day Holiday Special was a once in a lifetime experience, and is my proudest artistic achievement to date. What inspired you to pursue a career in the Cinematic Arts? Specifically, in children’s feature and television writing. Scooby Doo, Mr. Rogers, and everything produced by Sid and Marty Kroft. Growing up, I loved watching kid’s TV, no matter how cheap, educational, or out there it was. It inspired me to make up my own stories, and that turned into me putting on plays for my neighborhood. From my earliest memories, I’ve always wanted to work in this field, even though my Dad, still to this day, asks if I can really make a living doing it! My other great love has always been writing, but that was a field I didn’t think I could make a living at. So, I started out as a network executive at Fox Kids. After reading thousands of scripts, I found myself honestly thinking, “I can do better than this.” Power Rangers gave me the chance to put up or shut up, and I never looked back. My skills have come a long way since those early days, but my voice as a writer is a product of my entire journey. What advice do you have for current students and alumni pursuing a career in children’s cinema? The single biggest bit of wisdom I can pass on is TAKE THE NOTES. Especially when working on someone else’s project, learning how to interpret and implement notes is the best thing you can do to improve your writing skills and stay employable. I’m not suggesting you forgo your point of view or individual voice as a creator; I’m just saying that being open to hearing that there are flaws in your story can only help make it better. 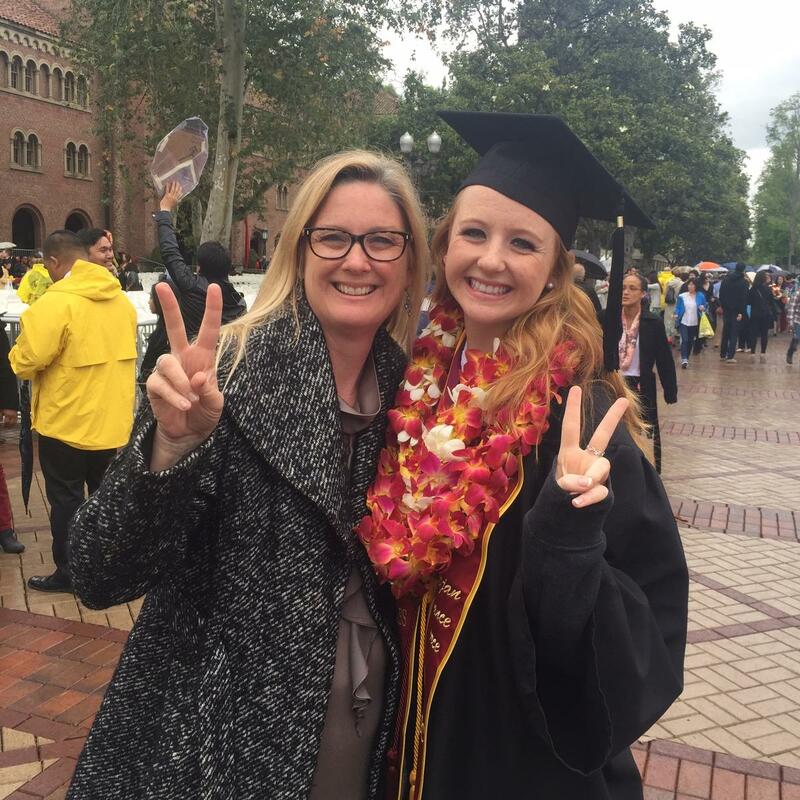 The other piece I’ll share is the same advice I gave to my own daughter, now a proud Cinema and Media Studies graduate herself (gainfully employed in this business, I’m happy to say): Embrace the SCA alumni network! It’s a powerful thread that continues to connect so many of us, even years after graduating. I am so grateful for my education. It has served me well.